In the hyperconnected world we live in, nothing is off limits, which is to say that when the phone rang at the Beijing Hilton I picked up and knew it was one of my Arab friends immediately. “If you have something good,” he said to me, mysteriously, “You can always have something better.” I tapped the message into my notepad app. It was only later, playing golf in the fuzzy green indoor 18 hole arena reserved for visiting businessmen from Europe and America, that I realized what the proverb meant. If you have French toast, stuff it with strawberries and vanilla frosting. 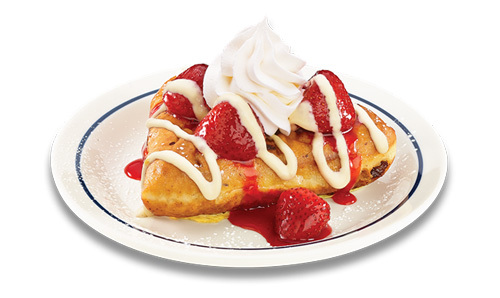 If you stuff your French toast, put whipped cream and fruit sauce on top. It’s as simple as that and investments work the same way. I call it the Bettering. Nobody’s gonna get this but me, probably, but so what? Posted on October 21, 2013, in ...The Hell Is This?, Economic$, Fun Stuff, Life, Science!, The World That's Coming and tagged ...the hell?, economics, fun stuff, life, science, the future soon. Bookmark the permalink. 2 Comments.